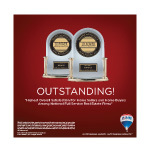 Wilson Crow, RE/MAX Advantage, is an award winning Realtor specializing in the Inside the Beltline market in Raleigh, NC. 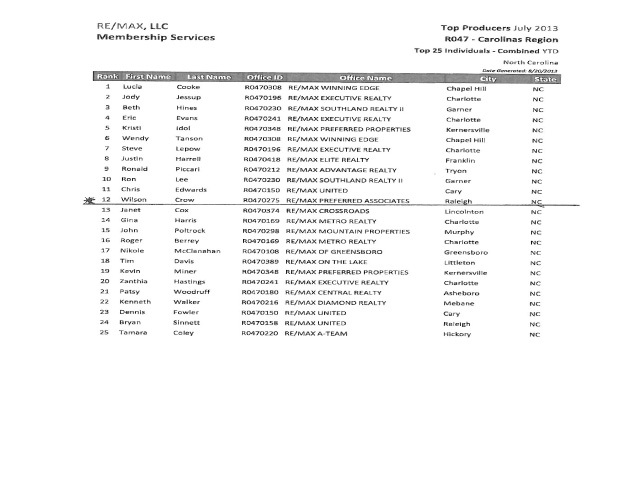 In 2014, Wilson was awarded as the number 1 RE/MAX Real Estate Agent in Raleigh, NC and 12th in North Carolina. Wilson shares his knowledge and 14+ years of experience with the “must ask” questions for any buyer considering to purchase or sell a home Inside the Beltline. 1) What percentage of the Realtor’s business is Inside the Beltline?– Inside the Beltline consists of many different neighborhoods. A Realtor who specializes Inside the Beltline knows the inventory in a market inside and out. Neighborhoods (even streets)may feel similar, but the home values could be quite different and a Realtor should be able to spot a property priced below market, etc. In addition, most of the homes inside the beltline are older and require a Realtor with knowledge and an eye for quality of construction. It may be worth asking if the Realtor has ever lived in a home similar in style and age of the home you are looking for. Nobody wants a money pit. 3) How long has the Realtor been selling real estate and do they do it full time?– There is no substitute for experience. Because the buyer is not responsible for paying the Realtor’s fees, the buyer should choose the best Realtor inside the Beltline rather than “the cousin who has a friend who is a Realtor”. Also, don’t confuse years in the business with on the job experience. Many Realtors will say they have been in the business for 20 years, but fail to mention that they only sell 4 homes a year.